Used as fertilizer and compost for thousands of years, manure is still one of the most widely recognized soil amendments available to gardeners. Manure consists of bedding, spilled feed, runoff and parlor wash as well as animal waste, and it has a number of effects when added to garden soil. Manure is most often used to add nutrients to garden soil. It contains nitrogen, phosphorus, potassium and micronutrients, which plants can absorb and use immediately. 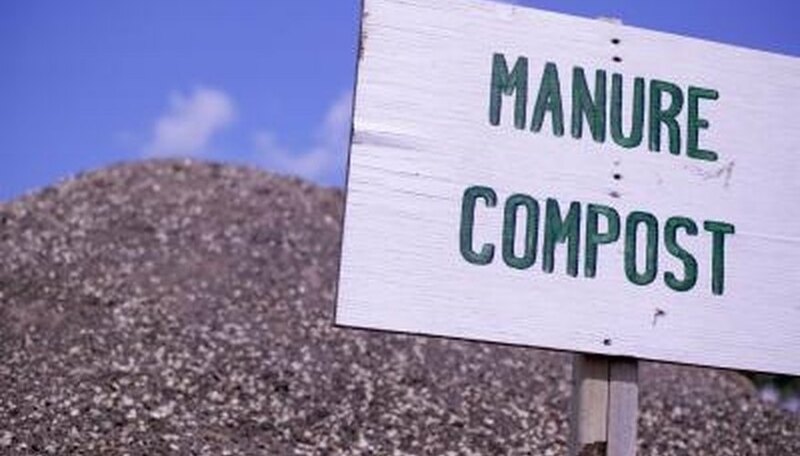 Manure also contains other nutrients in the form of organic compounds, which through biological activity become available to plants over time. One downside to manure is that it can contain high salt levels, which can cause stunted growth, germination failure and leaf burn, particularly in poorly drained soils or drought-prone areas. Some disagreement exists regarding the effect of manure on pH. Some sources, including the University of Minnesota Extension, insist that manure can lower pH, while a study by Oklahoma State University suggests precisely the opposite. The effect depends in part on what type of manure you use. Poultry manure, for example, contains high calcium levels, which neutralize acid and raise pH. Horse and cow manure can contain higher nitrogen levels, which over time may lower pH. In any case, other more predictable methods are available to both raise and lower pH, so manure should not be used specifically for this purpose. The incorporation of manure can greatly improve the texture and structure of soil. In soils with high clay content, manure loosens the soil and makes it less densely compacted. It has the opposite effect in sandy soil, helping to bind it together and retain more moisture. The manure must be mixed thoroughly in with soil, not simply applied to the surface, to have a significant effect on its structure. Manure increases the activity of bacteria and other microorganisms in soil. These changes have not been thoroughly studied, and may be harmful or beneficial to plants depending on what types of organisms are present in the soil. In most cases, however, the decomposition of manure encourages microorganisms, which release beneficial nutrients into the soil. University of Arkansas; Soil Testing for Manure Management; Mike Daniels, et al.